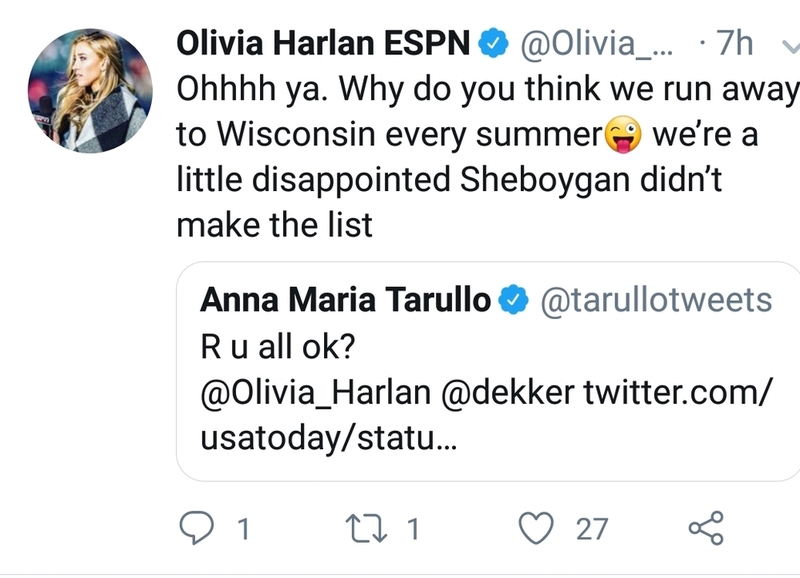 I believe Sheboygan was in the top 10 last year. I'll be doing my part this summer as I'll be there for my 40th HS reunion. Folks, step up your games! Allowing ND, Mont, and ugg Minn to appear in the top 10 is complete failure. What is the world coming to? And that damn 21 y/o drinking age sure put the bite on Madison's ranking. With Leinies in Wisconsin, no surprises here! Love me Leinies Sunset Wheat. Don't care for the Shandys, but like the beers. Especially this one in season. 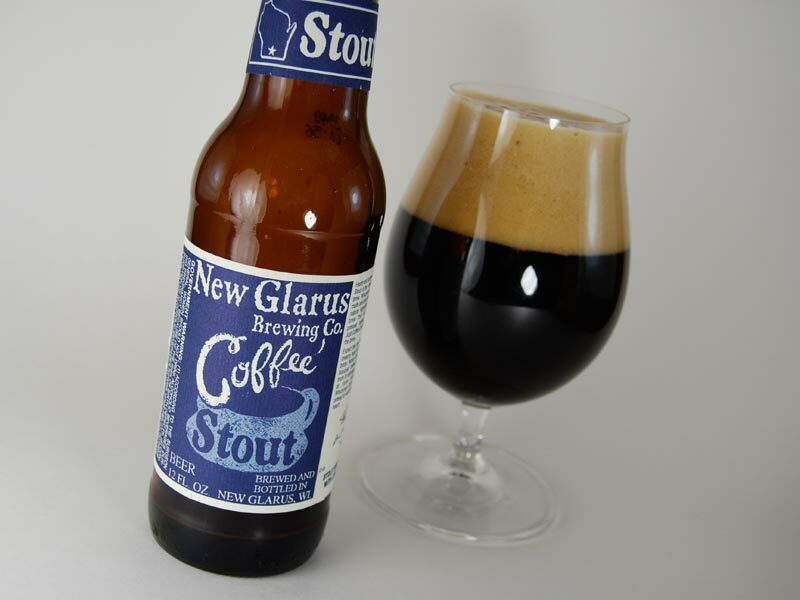 New Glarus as well. I wish they'd sell that stuff out of state. AZ might crack the top 20 then. Excessive drinking, according to the CDC, includes binge drinking — which is defined as four or more drinks on a single occasion for women and five or more for men — and heavy drinking, or eight or more drinks per week for women and 15 or more for men. 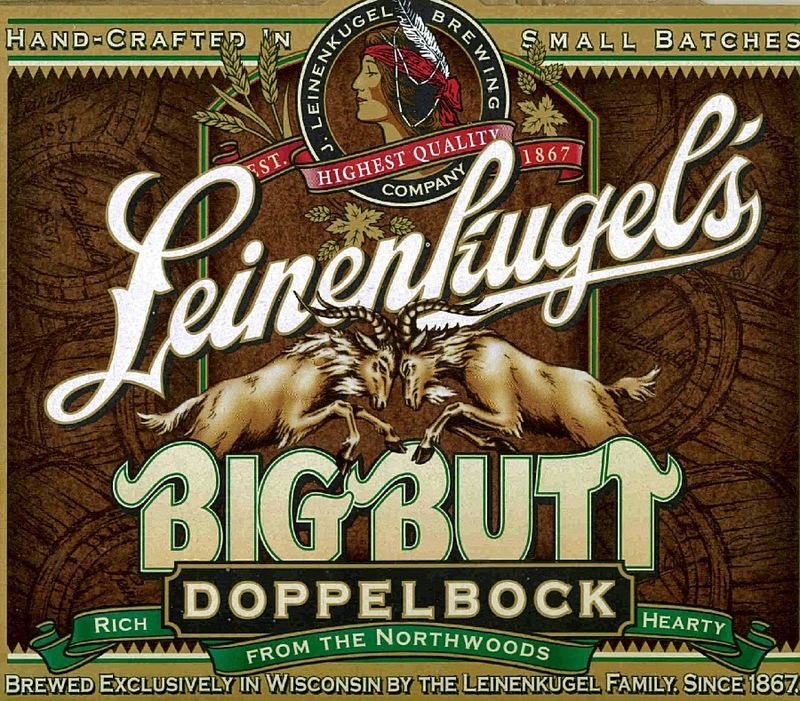 Agree on Lienie's Dopplebock, the rest of the beers are pedestrian. Spotted Cow has never seen an occasion it wasn't appropriate for. 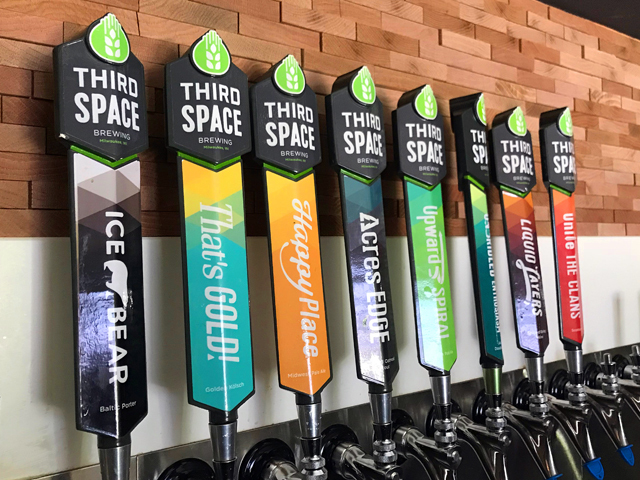 I've always wondered if Wisconsin's drinking culture inflates the data, not just for the obvious significant consumption, but for the pride in the numbers potentially leading folks to be more honest about drinking or even overestimate. After living all across this great country I can say that drinking, as far the culture of drinking is the difference. People drink everywhere but no where else is it woven into the fabric of life more than Wisconsin. Anecdotaly, when I go back now I notice that it has somewhat abated since I came of age 50 years ago. I'm lucky I made it out alive. I haven't lived in many places in the Midwest other than WI but what I do know about the state is when I was growing up, there were mom and pop bars or "taverns" all over the state from city to county road. My aunt and uncle ran one of them and their place functioned not just as a watering hole but as local grocery store, gas station, cash checking hub, place you can buy permits and basically the local community center. It was not unusual for parents to have their kids with them on a Saturday or sunday afternoon after the late mass got out. It was also on a lake so it served as a swimming hole and boat launch too. It had it's claim to fame when my uncle ended up on the front page of the travel section of the Milwaukee Journal playing his concertina. That and it had been the local Moose Lodge's location for their annual Moose Fun Fest that grew to a full county fair size event. That was a big deal for a little unincorporated dot on the map. So yeah, drinking is woven into the fabric of the state but not necessarily in an "unsavory' way. "Remember this....You are not alcoholics. You, and my hat is off, are professionals"
Lewis Black on drinking in Wisconsin. You like big butts and you cannot lie? Eight drinks is a little over one glass of wine at dinner each night. Bullsh!t that's problem drinking for women. How many times have you tried to figure out how to open up a classic film movie theater while you DJd from the balcony? Whoever made up that definition never spent any real time in Wisconsin. I remember the first time i drank outside of the state of Wisconsin it was in Ohio. Their drinking age had turned to 21 which meant for the first time in my life i had to deal with a drinking age. Because lets be honest in mid 1980's Wisconsin the drinking age was more of a suggestion and it still was 18. I was sitting down at the neighborhood tavern at the age of 16 by the way with barely any questions asked, bars had nickel beer nights, three drinks for the price of one etc. So I go to this bar in Ohio and dont think anything of it I order a draft beer. The bartender says you can only drink "near beer" under the age of 21 which turns out is this vile 3.2 almost non alcoholic beer. This was to say the least a culture shock and I spent the night going to the bathroom every 5 minutes. Depends on the size of the glass. It has been said by a few athletes that there is nothing to do in Green Bay. Let's lie to Kawhi leonard about how cold it gets in Mowaukee. Curious......so.....is the whole bottle of a nice rose binge drinking?? "Nice rosé" does not compute. Plenty of ring owners from Green Bay would like to talk to you about these few athletes. I tried to delete BPS's arrant post...but was not able to. Maybe because it is in the Lounge and not the Packer area....but I request that Boris clean this up. I only mention this, so that I don't get blamed when this thread goes to heck. North Dakota, Wisconsin, South Dakota, Nebraska, Minnesota, Iowa and Montana have the highest percentage of German descent in their population, in the order listed. Of these 7 states, 6 of them have cities on that top 20 list. I don't think it's a coincidence, Germans love their beer. **Edit** Forgot to mention that from the top 20 list, 18 cities are in those 6 states. For the most part, all those states have to deal with a longer winter season as well. The twitter feed is hilarious. I'm doing my part every weekend here in Sheboygan. I guess I'll have to increase my efforts this weekend. WAY-Y-Y back in the day we'd drink Highlife to sober up. A light version must have a negative ABV. I have an unladylike nickname for that stuff. I prefer a nice Oktoberfest. Yeah, German on both sides. Back in the day there was a bar on South 8th and Wilson that had a High Life special on Wednesday nights. Too many HL's and too long ago to remember what the special was. Only to someone that apparently hasn’t had much rose. Or is afraid of drinking rose cuz it’s pink and that means it’s for women and real men don’t drink girly drinks. There are many great roses out there usually at great prices that I would drink 10000x before a ****ty oaky butter bombed California Chardonnay. Try a bottle of Bonny Doon Vin Gris de Cigare Rose. Should be available nationwide for about $17. Or you know what, never mind. Skip all rose so it stays inexpensive and easily available so I can drink it on the cheap lounging on my deck this summer. Just saying. 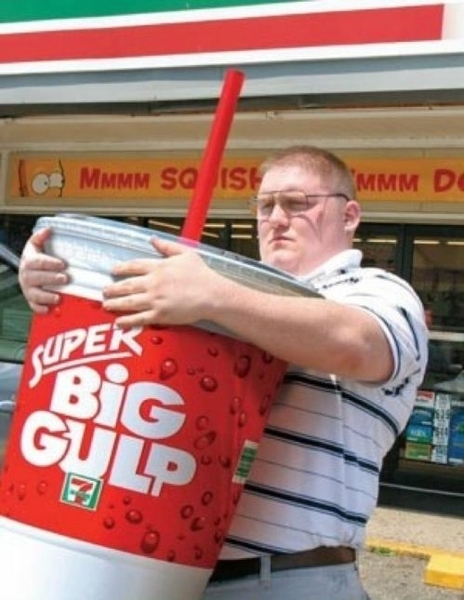 I usually drink red. we had a High Life and PBR special at a tavern in Manitowoc every Wednesday night. It was nickel beer night and we would throw down $10 on the bar and said keep them coming. I don't think I could drink High Life or PBR (I am an IPA guy) now but like someone else said I do reminisce about those times. Oh and a funny drinking story I forgot to mention. When I joined the military we drank with guys from all across the country. Well one night they asked two of us who were from Wisconsin where we learned to drink like we do. We looked at each other with an expression on our face that was "what in the world are you talking about?" Bonny Doon Vin Gris de Cigare Rose. This is on my list to try.....thanks. $17 for a bottle, too rich for me. No. That is three large glasses of wine so you are OK.